This last Saturday I went to play games. Yes, seriously. Someone organised a ‘Let Us Remember our Childhood Games’ party and invited friends who invited friends and so on. It was quite something. So guys formed teams and my team was made up of pals I have grown up with in church plus Hipilicious. Our team name was ‘Maponyi‘ and our signature sound was sirens, ‘Wiyu wiyu wiyu wiyu‘…. Too much fun. 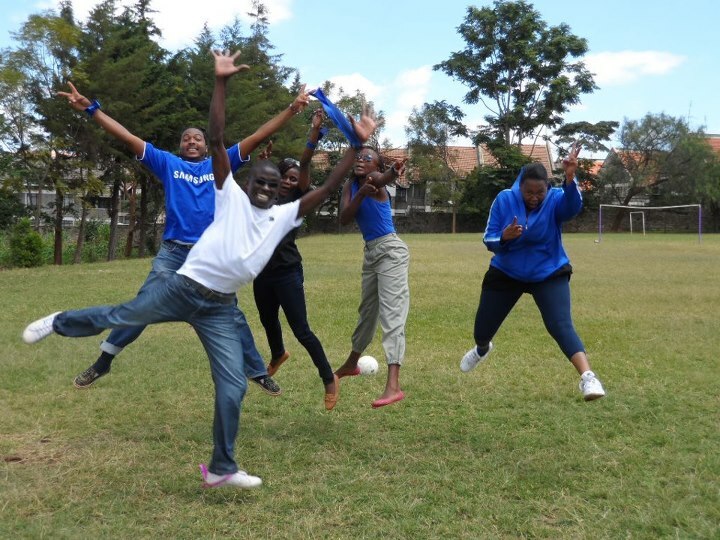 And this is how we landed…..
From the beginning, there were all indications that it was going to be a fun filled day. What with arriving at the venue with my pals and without a ‘How do you do’ joined a game of ‘bladda’. Remember bladda? Where tyre tubes were cut into thin strips and joined together to form an elastic closed circuit rope that two people hold on each end? The jumping in and out of the bladda was as fun as it used to be. There was fishings, elephantis, mkondesho, mkunjo, etc. I had totally forgotten about some aspects of the game! We also played kati. With the bottletops. 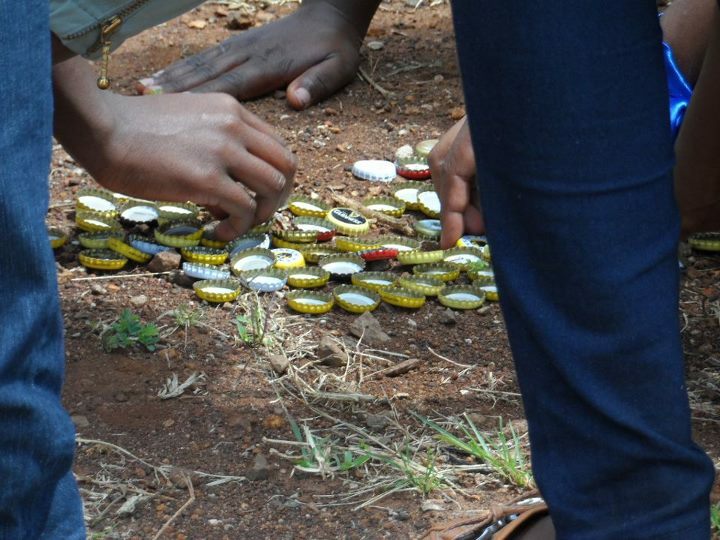 Now the ‘barbies’ in the group wanted to start a revolution in that the bottletops should be turned upside down instead of building a tower of ‘pekeles’. As in seriously, what was that. Our team would have none of that and so we went ahead with the real way to play kati. Where the bottletops are arranged in towers and if a team member gets the ball, they can throw it as far as they want. We would have made more than one tower seeing as we were the ‘pros’ in the game but the bottle tops were too many. More drama happened when we were playing ‘shake’. Who has ever heard of two people manning a shake line? WHERE DO SUCH THINGS HAPPEN!!! I thought that maybe most of the guys we were playing with were the ‘playstation’ generation, people who never left their houses to play with other kids. Because we had to show them how to play shake. Shock! I got a lesson in playing with marbles, ‘bano’ to the rest of us. I didn’t know the science that goes behind playing with marbles. Wow. It was so amusing to see grown up dudes ‘building’ tiny hills to place other peoples marbles so that they can hit them and win! Don’t underestimate anyone. You might just get challenged by someone in playing marbles and you lose your marbles due to their skill. Pun intended! By the time it was time to play hide and seek, guys were too tired. Our team had to seek first and by the time we got everyone and it was our time to hide, we thought of closing our eyes in open view of those searching and chanting, ‘If we can’t see you, you can’t see us‘….. We didn’t even bother hiding. My only gripe is that my knee is now killing me. It isn’t used to holding up x number of kilos jumping up and down for 5 hours.